Up Next in March: Artini in Wonderland! Fairy tales and stories from my childhood, particularly Alice in Wonderland, have been a major influencer of my work. 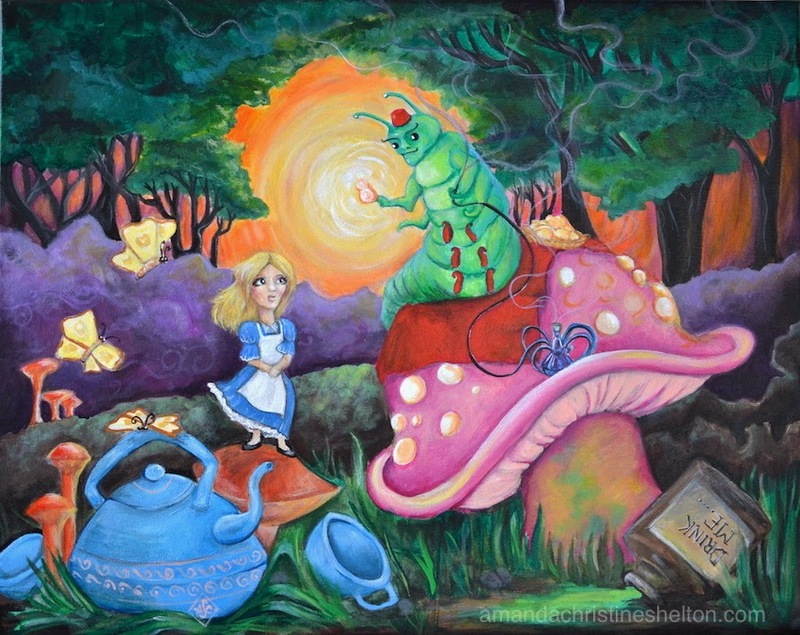 So of course when I learned the theme of this years Allied Arts OKC "Artini" event was Artini in Wonderland I was hoping I would be able to contribute a piece to the art auction! A little info about Allied Arts-- they are an organization that helps fund art groups in Oklahoma, and not just the ones like OVAC which help us visual artists, the ones that everyone gets to experience like Science Museum Oklahoma, Deadcenter Film Festival, and Shakespeare in the Park among others... Since their founding in 1971 they have raised over $43 million for the arts in our state through a variety of campaigns, partners, and donors. Their fundraiser event Artini is a big party with fancy martini tasting, music, and food from all our wonderful local restaurants. A little about me and Alice in Wonderland-- I spent a good portion of my teens and my 20s down a proverbial rabbit hole of my own. 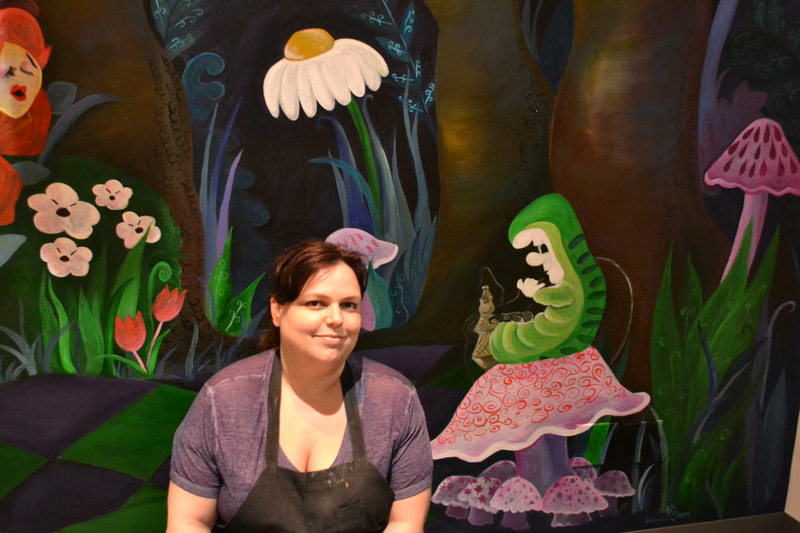 Lewis Carroll was a focus of plenty of college lit classes, painting studies, and I even had the opportunity to create a mural for the Oklahoma History Center honoring the work of Mary Blair for their Oklahoma at the Movies exhibit which ran 2012-2014, inspired by her concept art for Disney's Alice in Wonderland. For this year's Artini I have contributed an acrylic painting from last year, Local Flavors of Wonderland, based on a painting that was lost in 2010 I had always wanted to repaint. I am hoping Allied Arts raises lots of money for our arts programming! Here is the painting; it is also framed in a black wooden frame making it approximating 28" wide. You can find more info and get tickets for the event at AlliedArtini.com or see the full list of participating artists here. Can't make it to Artini but still interested in this artwork? You can find prints, phone cases, and even all-over print tshirts of it HERE.